Date : AH 163 (AD 779). Size : 22.8 x 23.7 mm. Weight : 2.80 grams. Grade : XF with a slightly golden tone. 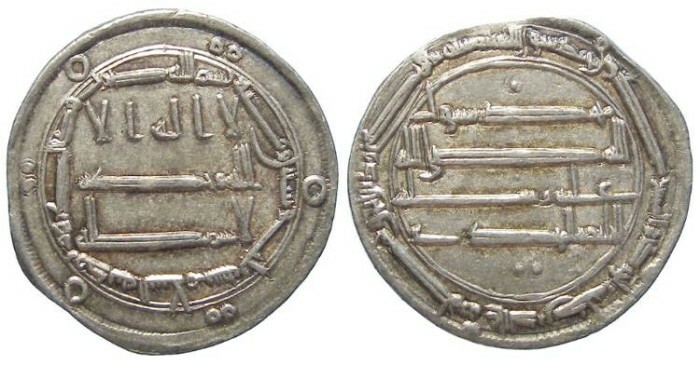 Obverse and Reverse : Arabic inscriptions. On the reverse there are three pellets, one near the top and two below.